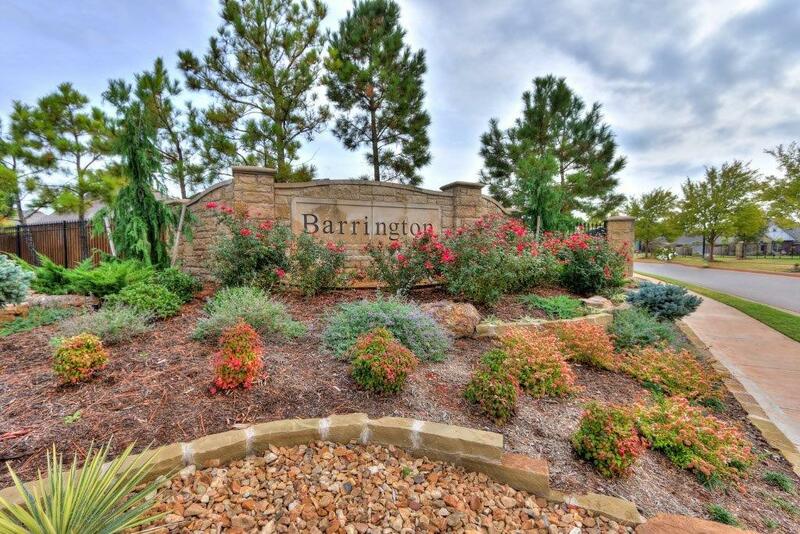 Click here to see all homes for sale in Barrington in Edmond OK. The Edmond neighborhood is close to Danforth, Western, and Oklahoma City. Featuring luxury homes and new construction in a variety of home types, residents of Barrington enjoy plenty of open green spaces, spacious neighborhoods and safe sidewalks, all lending to its walkability and peaceful environment. 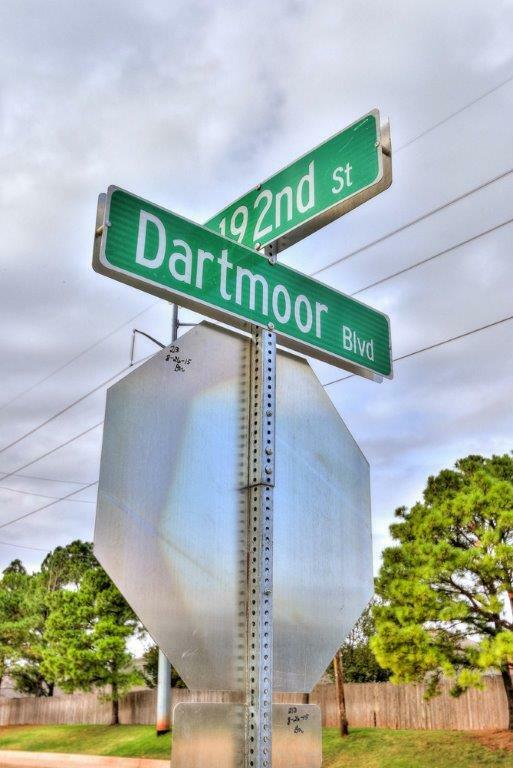 Barrington is situated on the south side of NW 192nd St. between Western Ave. and Pennsylvania Ave, home to gorgeous home sites and stunning views of a wooded creek and common area — yet very close to the nearby conveniences of the big city. There are many shops and restaurants in the area, such as the Upper Crust pizzeria and wine bar and Louie’s Grill and Bar. Property sizes in Barrington range from 3,000 to 4,800 square feet, with average home prices between $300,000 and $650,000. The average listing price is about $505.000 for a single-family residence in this community of varied home types. Barrington residents enjoy access to a pool, park, baseball field, and tennis court, located along a wooded creek and common area perfect for picnics, playing, walking and just enjoying the weather. Lake Hefner is just 10 miles away, making for a great outing on a weekend for a variety of water sports and relaxation. The Arctic Edge Ice Arena is just six miles away for ice skating lessons, birthday parties, arcade and free skate. Barrington students are served by the Edmond Public School system. They typically attend the following schools: Washington Irving Elementary School, Cheyenne Middle School, and Santa Fe High School. There are a total of 27 primary and secondary schools in Edmond, with the highest rated one in the city being Prairie Vale Elementary School. There are also several private schools in and around Barrington to choose from. Quality medical care is within easy reach for residents of Barrington, although no hospitals are located within one mile of the community. Nearby medical centers and hospitals include INTEGRIS Health Edmond, Mc Bride Clinic Ortho-Arthritis, OU Medical Center, AMG Specialty Hospital, and First Med Urgent Care, all conveniently located near Barrington and beyond. These providers offer everything from emergency care to labor and delivery services to rehabilitation services. Barrington is serviced by the city of Edmond for all of its public services and utilities, including water, sewer, trash, and power. Oklahoma Natural Gas and OGE Energy Corp are the primary providers of natural gas in the area. For Internet, phone and TV, residents are serviced by AT&T and Cox. Residents in Barrington pay approximately $300 dollars per year for dues to belong to the homeowners association, according to the Barrington HOA website. This fee is due annually on March 31st and goes toward maintenance and upkeep of the properties. The Covenants, Conditions, and Restrictions for Barrington (CC&R’s) outline the plan of development, property rights, membership, maintenance, insurance and casualty losses, administration, assessments, architectural standards and use restrictions, rule making, and many other general provisions for the Barrington neighborhood of Edmond OK.